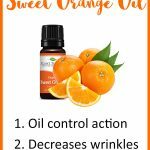 Top 6 Beauty Benefits of Neroli Essential Oil - beautymunsta - free natural beauty hacks and more! Neroli is a citrus essential oil that smells unique and intoxicating. It has an aroma that appears to be a blend of sultry floral with a touch of earthly wood. 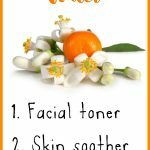 Once you get to know the beauty benefits of neroli essential oil, you’ll have no reason to not add it to your repertoire of natural beauty hacks. The essential oil is extracted from the flowers of the bitter orange tree, which belongs to the citrus family. Neroli oil is extracted through the distillation method. It has a pale yellow colour. Also, it contains geraniol, nerol, acetate, nerolidol, camphene, a-pinene, neryl, linalool, b-pinene, linalyl acetate and more. It also has anti-microbial and anti-bacterial properties. The by-product of neroli essential oil extraction is neroli hydrosol, also known as orange blossom water. 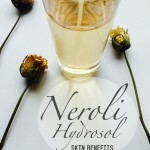 This is really my favorite hydrosol ever, and I think you should check it out! Bitter orange, which serves as the source of neroli essential oil is majorly grown in Eastern Africa, Western India and Himalayas. However, during the mid-1500s, the bitter orange tree was taken to St. Augustine, Florida by the Spaniards. The tree grew there in Florida and was exported in the year 1763. The neroli essential oil was named a princess named Marie-Anne de La Treemoille of Nerola in Italy. There are many beauty benefits of neroli essential oil, ranging from health to aromatherapy and cosmetic uses. 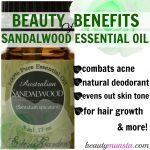 Today we shall have a look at some of the beauty benefits of this essential oil. Glass skin is new slang that refers to taught shiny skin like what Korean beauties love to rock! 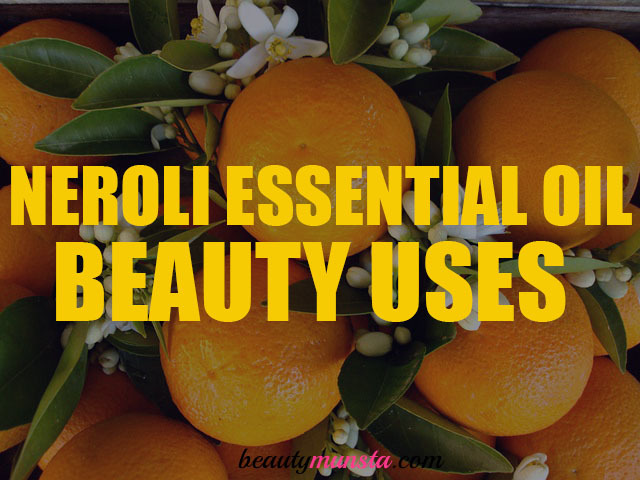 One of the beauty benefits of neroli essential oil is that it is good for your overall skin. If you want baby-soft and shiny skin, you’ve got neroli essential oil at your disposal to work wonders. How do you use this essential oil? Simply mix one or two drops of the oil to your usual unscented moisturizer or face cream. Apply to your skin in a circular motion then gently massage for the oil to sink in. You definitely will begin to see changes within a few days to weeks. Neroli essential oil is also good for treating wounds. Because of its anti-microbial and anti-bacterial properties, neroli essential oil is good for treating burns and wounds, so as to prevent bacterial infection from infesting wounds. Neroli is appropriate for wounds because of its soothing and healing properties. Simply apply the diluted oil on the affected area then allow some time so that the oil can sink down. It will soothe pain and revitalize dead cells and tissues around the wounded area. Studies even show that neroli essential oil is able to get rid of different types of fungus an about six popular types of bacteria. 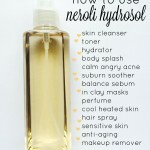 Also, another of the beauty benefits of neroli essential oil lies in its ability to cure acne. This is likewise attributed to the anti-bacteria property of the essential oil. It can treat the breakouts of acne. How do you use this oil to cure acne? Get a cotton ball and wet with water, so that the oil can be diluted a little. Add some drops of the essential oil to the cotton ball, then apply the cotton ball to the affected area. Ensure to repeat the process at least once every day until the affected area is clear. Neroli essential oil helps in moisturizing the skin. Neroli oil can help smoothen the skin, thus adding glamour to it. It can help the skin maintain it moisture and oil contents in a balanced form. Another great beauty benefit of neroli essential oil is its ability to reduce the obviousness of stretch marks. Simply add some drops of your essential oil to your cream, oil or lotion to gradually efface stretch marks and to repair broken skin capillaries. Neroli essential oil can be used as a deodorant too. The after smell of a sweaty skin is never palatable, but neroli essential oil, with its anti-bacterial property, can be a good deodorant. 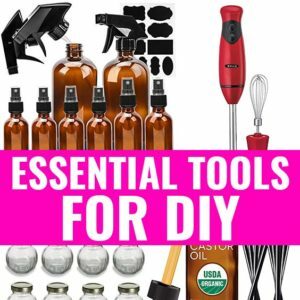 You can try this homemade deodorant spray at home. In a small glass bowl, mix together the aloe gel and neroli essential oil really well with a glass rod. Now in your spray bottle, pour in your distilled water/ rose water. Next drop in the mixed aloe-essential oil gel. Cover the spray bottle firmly and shake vigorously for 2 – 4 minutes. Every time you need to use it, shake the bottle vigorously to ensure even mixture and that is it! Simply spray on to skin to cleanse, refresh and invigorate. Are you wondering about the beauty benefits of other essential oils? Read all about them below!